My heart is oh so full today, friends, and it's time I put this wild and beautiful ride into words. 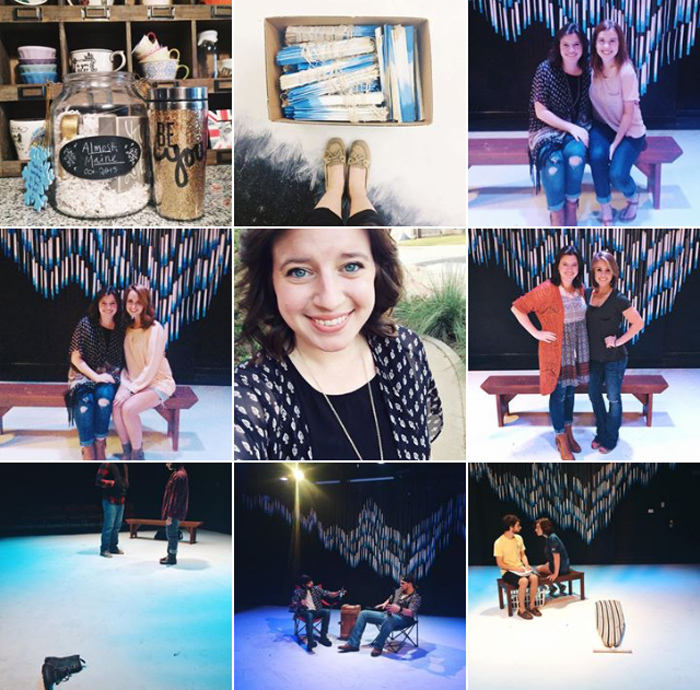 This weekend we opened and closed my "thesis" show, Almost, Maine, and I feel both spent and bubbling over with joy. The Blog-tember Challenge was such a delight, and I loved getting to know so many new faces that popped in from time to time! However, when October 1st rolled around I had to push pause. 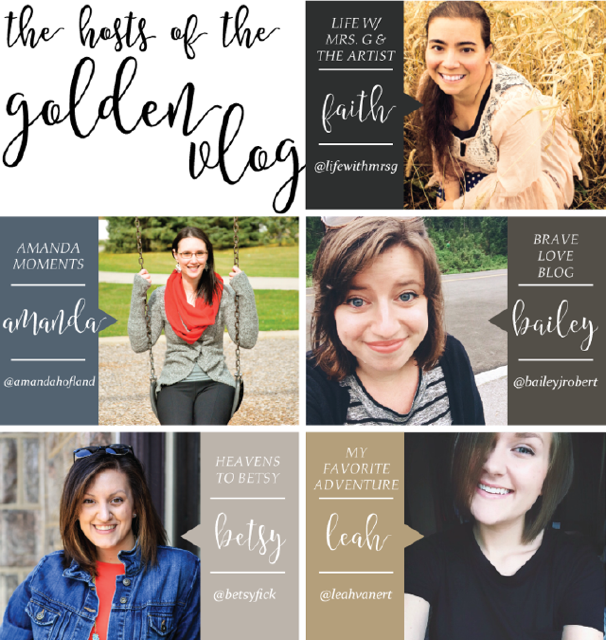 While so many of my blogging gal pals have been pouring out their hearts in the Write 31 Days Challenge (check out Rachel, Nicole, and Annie! ), I had to step away to get my show off its feet. I am in my second year of graduate school and this is it, this is THE BIG ONE. Almost, Maine has been on my heart and mind since February, and this weekend all of the pieces came together for a beautiful final product. I shared glimpses on Instagram and Periscope, tweeting away the hours spent painting paint sticks (600+) and focusing lights, snapping shots of rehearsal while my actors carried this show on their shoulders. Thank you, thank you, THANK YOU for all of your grace and support these past eight weeks! I couldn't have survived them without you! 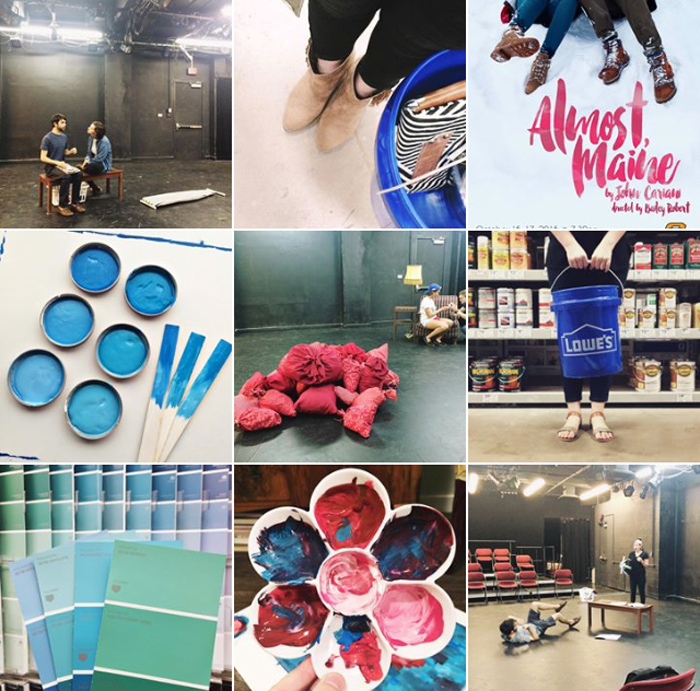 Like I said, I selected Almost, Maine in the spring and I spent quite a bit of time with it over the summer, prepping to hold auditions in August. I knew the play fairly well from seeing it in undergrad, but my writing took a lot longer than usual. I wrote 30 pages on the characters alone! My five actors had the joy and challenge of playing nineteen characters total, and they knocked it out of the park if you asked me. Once we had the cast, we dove into the show and divided up the parts, rehearsing Monday through Friday, from 6:30-10:00pm. Rehearsals were full of inside jokes and discoveries, learning how to safely beat one another over the head with an ironing board (we broke two, by the way... ironing boards, not people!) and getting to know these characters and their world backwards and forwards. Watching lightbulb moments happen made late nights so worth it, and I almost never left the theatre without having cried from laughing so hard. It was a true JOY to work with these talented people! One of the challenges about doing Almost, Maine was needing to have the Northern Lights shine on stage multiple times. Mind you, I had a very limited budget and no designers, so this was all on me. Luckily, I had worked with Anthropologie's display coordinator back in Seattle and I was promptly inspired by previous window displays I had saved ages ago on Pinterest. Painted paint sticks it is! I ordered them in bulk on Amazon over the summer, expecting that 400 would be plenty, but boy was I wrong. 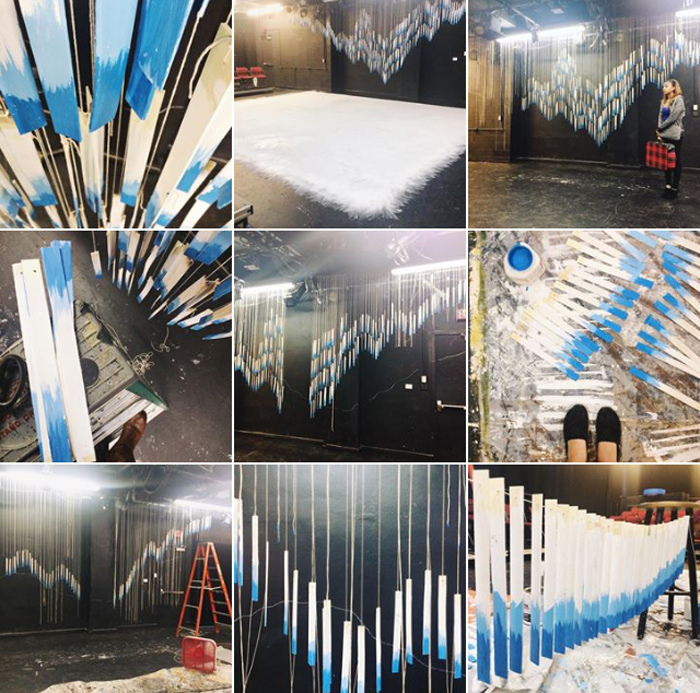 We ended up with over 600 hung around the theatre to make said Northern Lights, and it would not have been possible without the help of the Theatre Council. Ten dedicated volunteers spent five hours painting all the paint sticks white and two shades of blue, then I spent day after day hanging them in just the right pattern. I then decided to paint the floor white as though it were ice/snow. My first night of fall break was spent with the cast and crew finishing the paint sticks and setting the first layer of white paint. Over the course of the three day weekend I spent 10+ hours each day either painting, programming lights, setting sound cues, and organizing props. It wasn't much of a break but it was totally worth it! This weekend all of our hard work paid off! The show opened last Thursday with only a few hiccups (the shoe that was supposed to drop from the sky... well... didn't... but they made it work!) and a surprisingly large audience for a Thursday evening! Friday's show stepped it up to the next level, and the audience ate it up! They clapped for each scene, the transitions even, and gave them a second standing ovation. The audience lights decided to give out at intermission so everyone sat there confused when the actors didn't come back out, but it was quickly remedied. This weekend was also full of sweet visitors! My sister and her boyfriend came on Thursday, as well as a friend from Baylor who lives nearby. My parents came on Friday night, all the way up from Texas as well, as did the leaders of Delight Ministries here at OSU. Those sweet girls are becoming so dear to me! Saturday brought more friends from around OSU, the sweet Ellie B., and friends from Baylor once again! I felt so blessed, so loved, and so supported! How's that for the most adorable show gift you ever did see? My little jar of love with snowflake notes from the cast and a gold sparkly travel mug have a place up front and center in my apartment. Really, I am overflowing with joy from the whole experience! It was sad to see it all boxed up and painted over on Sunday, but I won't soon forget my travels to Almost, Maine. Now, back to blogging. Hooray! While I would have loved to join the Write 31 Days challenge, I knew I would drop the ball as soon as I picked it up as my show needed focus. But now I'm back, and weekly updates will be coming your way soon. There are fun things ahead, too, like a journaling Bible giveaway and the 2nd Annual Merry & Bright Gift Swap, plus plenty more. Stay tuned! And, in true theatre craziness, I was cast in a show that starts rehearsal tomorrow! Two days off and we're back at it again ;) But I don't think I'd have it any other way. Did you catch any of Almost, Maine on Periscope? Alright, everyone! Brave Love Blog is back in action! I took a brief break after The Blog-tember Challenge (which was definitely a success in my book!) and now here we are in OCTOBER. How on earth is it October?! The show I've been directing opens next week and there is still so much to do, but I wanted to take the time to introduce you to a new venture here on the blog! 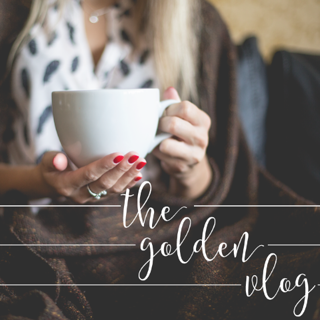 I met the sweet Faith of Life with Mrs. G and the Artist at the Influence Conference and we got to talking about the fun we've had blogging recently, and she invited me to co-host The Golden Vlog link up along with her and a few other sweet gals you'll find below. The link up will be the 2nd Thursday of each month, and today we are diving in with the topic of our insecurities. Here's the Rules . . .
1. You must follow your hosts on at least ONE form of social media to linkup w/ us. 3. Add the button above or a text link to one of the hosts to help us promote this crazy thing! 4. Spread the love! go watch, listen, and comment on other blogs and make some new friends! *all links not featuring a vlog or this months questions will be removed!